“Fantastic seller AAA+++! Fast shipping and packaging on eggs! Very Happy! “Got the eggs today , they were in good condition . Hope for good hatch. “Great seller, wonderful packaging, prompt”. 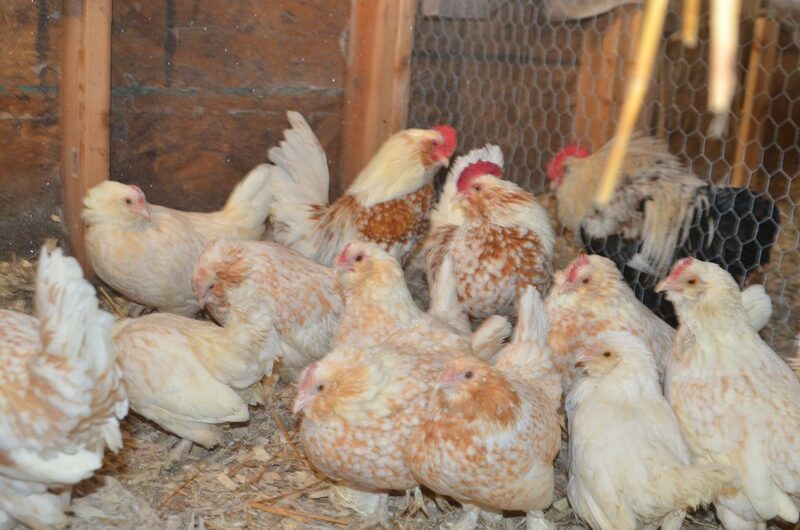 For sale 12 hatching eggs Gold Neck d’Uccle hatching eggs $35 includes shipping. Belgian Bearded d’Uccles first shown in 1905 added to the APA in 1914. They originated in Belgium as the name implies and are bearded with feathered feet. They are very docile birds, easy to handle, making them good pets or 4H projects. Belgian d’Uccles get along with other breeds and are a fun and interesting breed to own. They make good mothers and lay a cream colored egg. We are in our 5th year of shipping fertilized hatching eggs. We package them well, to arrive safe and we ship them fresh. To ensure a good hatch, we ship eggs that are 1-3 days old, and by adding 1-3 days for shipping time, with time to settle of 12-24 hours eggs will be 7 days old or less when you set them in the incubator, allowing for a better hatch. We ship unwashed fertilized hatching eggs, there are no returns or guarantees. Fertility has been checked multiple times and it has been excellent. Upon arrival of your eggs, let them sit for 8-10 hours, pointed end down, before putting into your incubator. Do not wash your eggs. Eggs will be shipped, in most cases next day upon receipt of payment. It is very important you make prompt payment, for quick shipment. We ship priority mail with 1-3 day ship time. Offer good only for eggs shipping to the continental United States, we do not ship to Hawaii or overseas. If for some reason we can not ship your order within 3 days we will contact you.